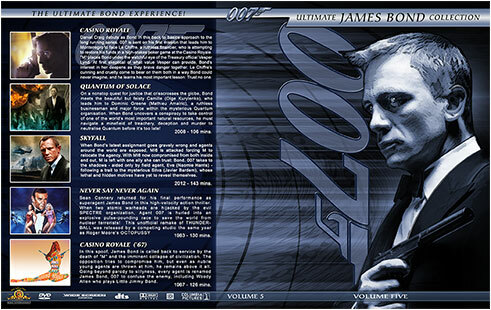 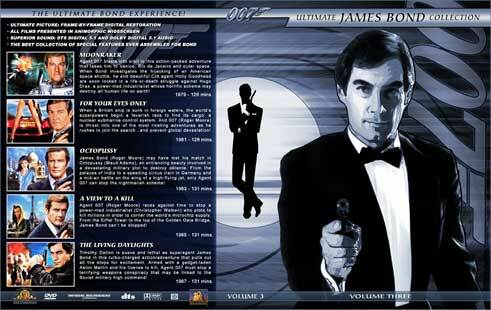 This set was made to fit all of the 2 disc Ultimate Edition James Bond DVDs as well as the new 3 new films starring Daniel Craig, in ten disc cases. 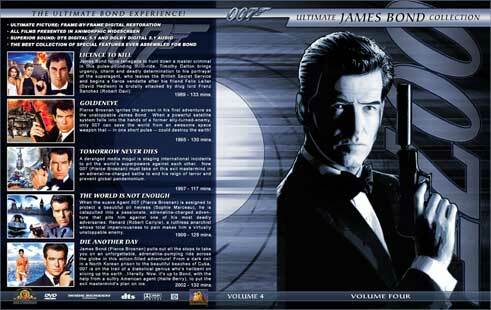 In addition, Volume 5 also has spots for the unofficial Bond movies Never Say Never Again and 1967's spoof, Casino Royale. 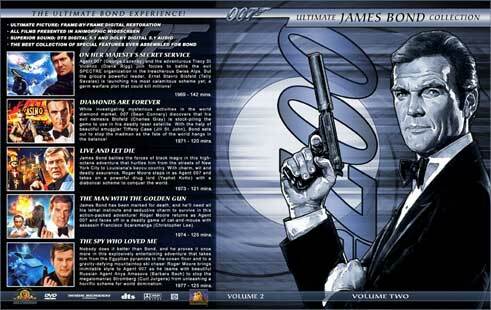 There is also a version of Volume 5 with a blank back so that you may customize it yourself. 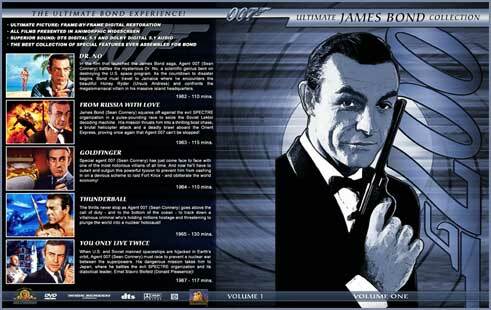 Click on the small previews below for a bigger view, or click on the download links to get Hi-res versions suitable for printing.